This article was published on Saturday 15 December, 2001. There's a new sewing machine on the market, just in time for all you gift-buyers to part with your hard-earned cash. It's called SewCute, and it really is a Cutie! And it's just 30-bucks or so. Most of you who want a "kid's sewing machine" that is "cheap" will really want one of these! Up front warning: I still categorize it with the Toys. This little cutie sews badly with a chain stitch. A chain stitch is the kind that looks like stitches on the top and loops on the bottom. The benefit of a chain stitch is that there is no bobbin. The bad thing about a chain stitch is that if one loop is missed during stitching or breaks, the whole seam comes unravelled. The Singer toy sewing machine makes this same chain stitch which is always a problem. Another problem is the weight. It is so tiny and light that I can hold the whole thing up in the air by just pinching the take up lever between my thumb and forefinger. This makes it difficult to sew. Every time you try to lift the presser foot to end a seam, the whole machine lifts off the table. You have to hold the machine down with your right hand while you work the lever with your left. Unless you're a 3-handed person, this means you have no hands left to handle the fabric. It's a sad thing, but there it is. A good way to put it is that learning to sew with a Sew Cute is like learning to make a cake in an EasyBake Oven. Now don't get me wrong! It may date me, but I did love my EasyBake Oven. But even at the ripe age of 8, I knew I wouldn't be making cookies for the classroom party in it. The SewCute is designed to be a toy and a plaything. One customer informed me that she was so dissappointed in it that she got a bigger thrill out of hearing it bust into smithereens at the bottom of the trash can than she did buying it! 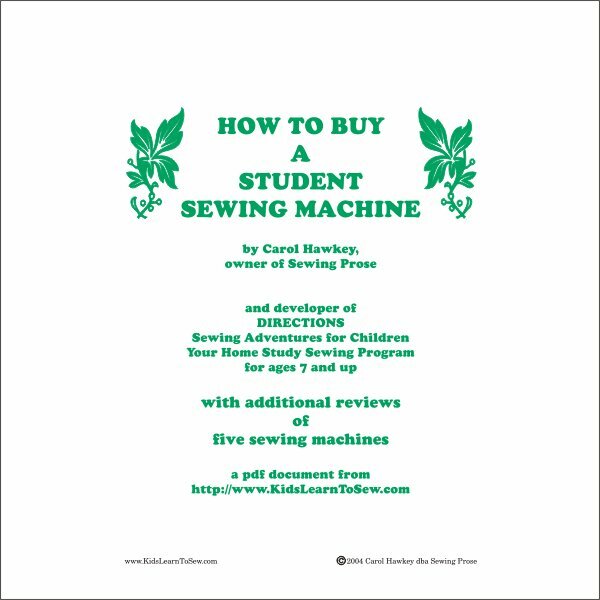 If you want your child to have the best sewing experience possible, your money is better spent on a real machine, one that will really sew, for real, in the first place. $300 will get you a decent sewing machine. If you need a lower priced machine, do some strategic shopping at second-hand stores, pawn shops, and the refurb department of a sewing machine dealer. 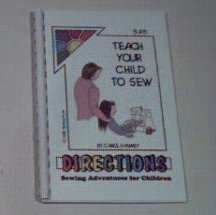 For 50- to 100-bucks you will provide a much better sewing experience to your young'uns that will last through all their lessons, and you won't have to buy two machines. And of course I would be remiss if I didn't suggest our Beginner Sewing Machine buying guide! Just $5.99, or free with your order of at least $49.00! It even includes pictures of the Sew Cute (insides, too!) as well as a checklist to take shopping with you.